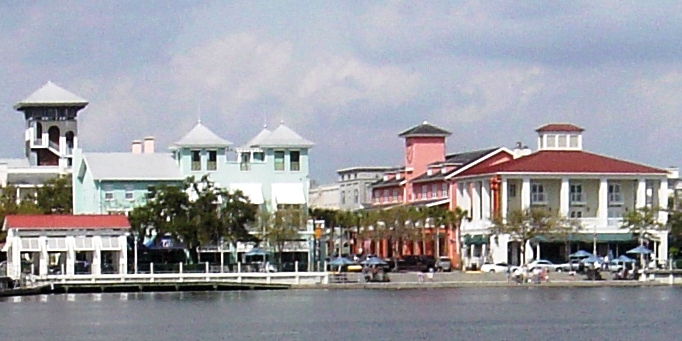 Right in the center of all the fun, Celebration is a traditional neighborhood that was conceived and developed by the Walt Disney Company on land that used to be part of the Walt Disney World Complex. The developed residential area conveniently sits south of I-4 and the 417 Greenway and is roughly 20 miles southwest of downtown Orlando. The Disney theme parks can be easily accessed via World Drive. 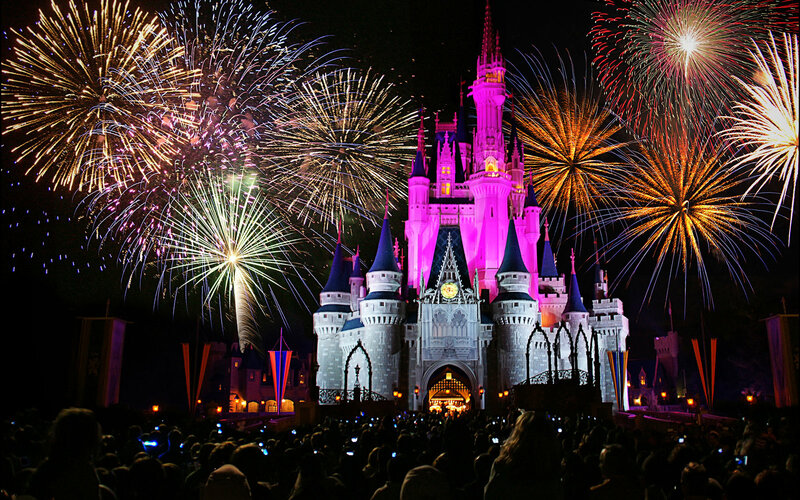 Celebration is close enough to the Disney parks that you can hear, and in some places see, the fireworks go off each night. Celebration homes are all located within a stone's throw of the Disney complex. This means residents have very easy access to both Epcot and the Magic Kingdom, among other Disney attractions. The community also boasts its own parks, Movie Theater, clubs and more. ü The Celebration Spring Art Festival: a juried show for cash prizes. Bringing the ultimate in high-tech convenience into a master-planned residential environment, Celebration has the capacity to electronically link every resident to education, shopping, and health services. Designed to incorporate the charm and comfort of days gone by, homes blend traditional southeastern exteriors and inviting porches with interiors that offer every modern convenience and amenity. The community hub of Market Street is a showcase for some of the world's leading architects, creating a dazzling lakeside promenade surrounded by quaint shops and eateries. Patio dining is readily available in an atmosphere that mirrors the intimacy of a small European village. The spirit of friendliness pervades the entire town, where neighbors gather in recreational areas or converse from a front porch swing. Celebration Boulevard is the emerging commercial center of the community, offering 110 acres and 1.8 million square feet of prime office and business space. Siena At Celebr Condo A SubDv. Artisan Club Condo Ph 6 SubDv. Water Street Condo Ph 02 SubDv. Celebration East Village Un 1 SubDv. Artisan Club Condo Ph 05 SubDv. Carlyle Residence S Celebr Condo SubDv. Artisan Club Condo P3 SubDv. Celebration Area 05 01 02 04 & 18 SubDv. Celebration North Village Unit 4 SubDv. Water Street Condo Ph 08 SubDv. Terraces At Celebration Phase 1 SubDv. Artisan Park Townhomes Ph 01 SubDv. Celebration Village Unit 02 Rep 02 SubDv. Celebration North Village Unit 04 SubDv. Celebration East Village Unit 04 SubDv. Artisan Club; A Condo Ph 6 SubDv. Celebration South Vlg Un5 SubDv. Celebration North Village Unit 06 SubDv. Siena At Celebr Condo B SubDv. Water Street Condo Ph 10 SubDv. Artisan Club Condo Ph 04 SubDv. Celebration North Village Unit 03 SubDv.